NAPA, Calif.—March 23, 2009 Rutherford Grill’s wine director Barry Cothran has been named the 2009 On-Premise Wine Marketer of the Year by Restaurant Wine magazine, in its recent issue (#129). The annual award is given to an individual working full-time in the hospitality industry who has direct influence on the design and implementation of an operation’s (or company’s) wine program, and has achieved considerable or unusual success during the previous 18 month period. Cothran, who has been this Napa Valley restaurant’s wine director since 1997, is also the company-wide wine director for Hillstone Restaurant Group, a 48-unit company best known for its Houston’s concept (of which there are now 31, in five states). Complete details of Rutherford Hill’s wine program are found in Restaurant Wine, issue #129, available for $24/issue in the USA (or $27 outside USA). www.restaurantwine.com, Recent Issues. 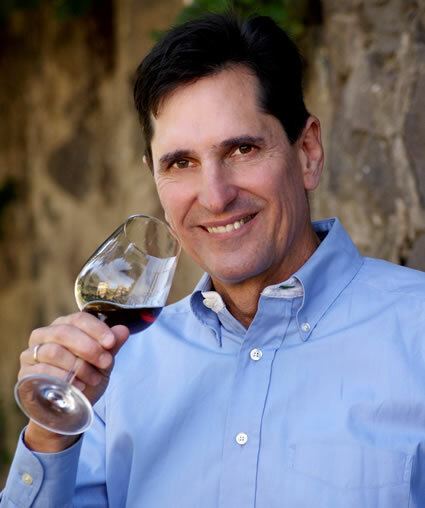 In the same issue, publisher Ronn Wiegand, MW MS, has selected Sonoma County’s La Crema Winery as its Winery of the Year 2009. As in previous years, only one winery in the world is selected for this distinction, based on the quality, value, and consistency of its wines during recent years. RESTAURANT WINE is a bimonthly journal on wine for the hospitality and wine industries, and has been published by Wiegand since 1988. It accepts no advertising. Subscriptions are $109/year in the USA. Address: P.O. Box 222, Napa, CA 94559-0222.